Finally the long awaited official WhatsApp video calling feature has started rolling out on Android platform. In my previous post, I talked about WhatsApp hitting the window device live and it was quiet unusual since it was actually a widely know thing that Android platform receives updates first. However the video calling feature has arrived on Android OS too and its getting alot of buzz. WhatsApp having over 1 billion monthly users is no new thing, integrating the video calling features is an improvement on its own considering how hard people had craved and waited for it. Currently the video calling feature rolling out on the Android platform is still in Beta version of the WhatsApp app. Users who uses the Beta version of the WhatsApp app won’t need an update since its already integrated. Making a video call using the Beta version of the WhatsApp app is not something that can get you confuse. 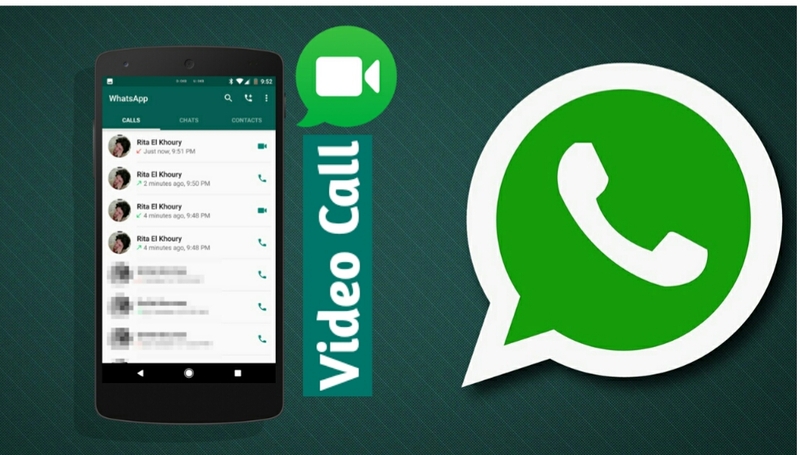 Let’s brief you on how to make video call using the WhatsApp Beta version also you can skip this part and directly download the Beta WhatsApp version from below given link. First of all users needs to tap on the contact and press the “call button”. Now unlike usually users will get two option either to choose a ” Video call” or a “Voice call”. Simply tap on the video call to starting calling. However you need to have it in mind that before making a video call, the person you’re trying to call (Receivers end) should also have the Beta version of WhatsApp app installed in other to be able to receive a video call. Soon its certain that the WhatsApp video call will soon start rolling out for the iOS users and there’s no limit on enjoying this feature. If you don’t have the Beta version of the WhatsApp app, you can easily downloaf the apk latest WhatsApp beta version 2.16.318 from Apk mirror. The video calling feature is certainly a tremendous major update, if you have already tried the WhatsApp video calling feature on your android phone do endeavor to use the comment box to share your thoughts about it. Today we’re bringing video calling to WhatsApp. Voice calling has grown quickly, and video calling has been one of our community’s top requests. We’ve been working on it for a while to make sure it works even in places without a strong network. Enjoy! If perhaps you haven’t seen this feature on your WhatsApp, kindly update to the latest version via Google play store. After updating, open your WhatsApp application, tap on the friend you want to chat with then press the call button and see the video calling feature live!. Enjoy. Google Pixel and Pixel XL Review, Price & Specification. Which is Bigger and Better!.